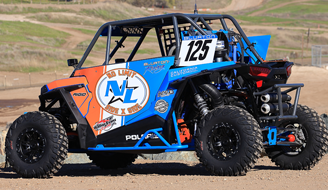 Best In The Desert has a new UTV Pro Turbo Production Champion Phil Blurton. This is a first in the history of Best In The Desert on multiple levels. First time CanAm/BRP race team has won a points championship and first time a Rookie Of The Year has also won the Points Championship in this class. Phil Blurton and his Co-Drive Beau Judge have exploded into the BITD UTV racing scene and are proud to bring home this win for the team. “It was a team effort and we are very proud to bring this championship home for CanAM/BRP and our No Limit RD Racing Team.” says Phil Blurton owner of No Limit RD and factory CanAm/BRP driver. Phil Blurton and Beau Judge take 1st Place at Vegas To Reno 2017! This is the first time a CanAm driver has won UTV World Championships and Vegas To Reno in Best In The Desert history. Further proving this No Limit RD CanAm X3 has winning parts and accessories to equip the Blurton Racing Team with the tools needed to race and to WIN! 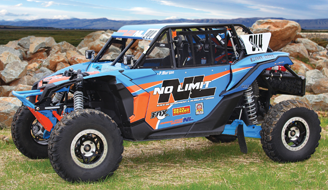 There is No Limit to what we can do for your UTV. withstand the harsh environments and long distance. that will dramatically improve your driving experience. 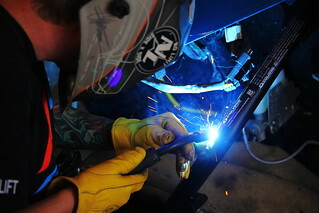 We custom build parts and accessories for UTV’s. These parts are designed to take your UTV to the next level of performance and handling. We develop and research in the harshest of conditions to ensure you have the highest quality parts and accessories to improve your driving experience. 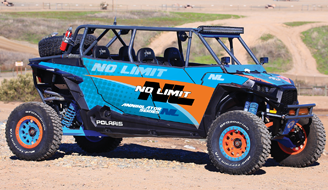 There is NO LIMIT to what we can do for your UTV! Please enjoy the videos and visit back soon to see more about our racing! We annihilate the competition with tested and proven parts and accessories. We design and build amazing race and adventure UTV’s that are nothing short of awesome. We have 3 custom models to choose from, you choose the brand and we make it track, trail or sand worthy. No Limit Turn Key Desert Packages are designed to pass all desert racing tech specifications. and include welded to sub-frame roll cages, solid doors and overhead cross bars. These cars have fresh air systems, radio/intercom and GPS. These turn key race cars will have full race preparation with clutches and shocks tuned for short course racing. You will have full race series axles in place to handle the added power and hard cornering that occurs on short course tracks. Start a new adventure with our Pre-Runner package. It’s equipped with Full Suspension Upgrades, GPS abilities to mark your trails, extended range with the addition of 12 gal fuel transfer tank, radio communications, fresh air pump and a spare tire rack.